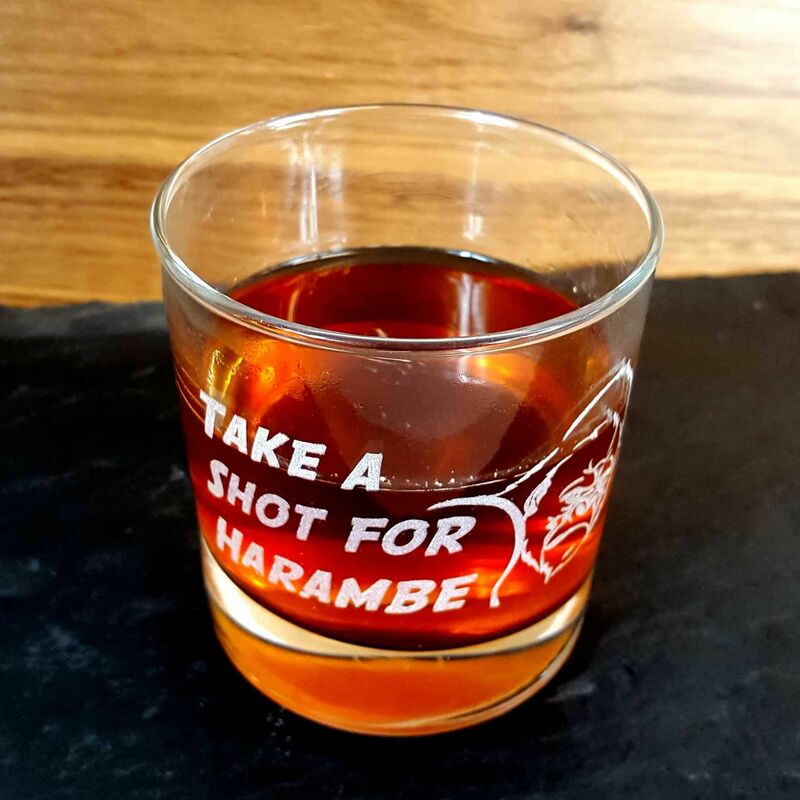 A whisky glass tribute to the gorilla Harambe, who was shot by his keepers when a child entered his compound. 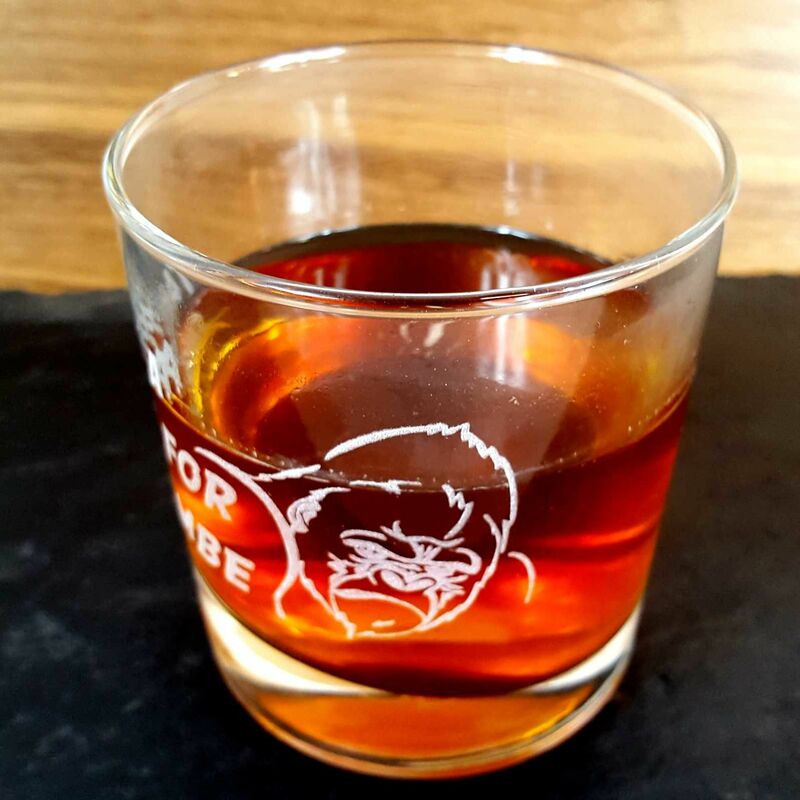 This is a standard size whisky tumbler 8.5cm deep x 8cm wide. 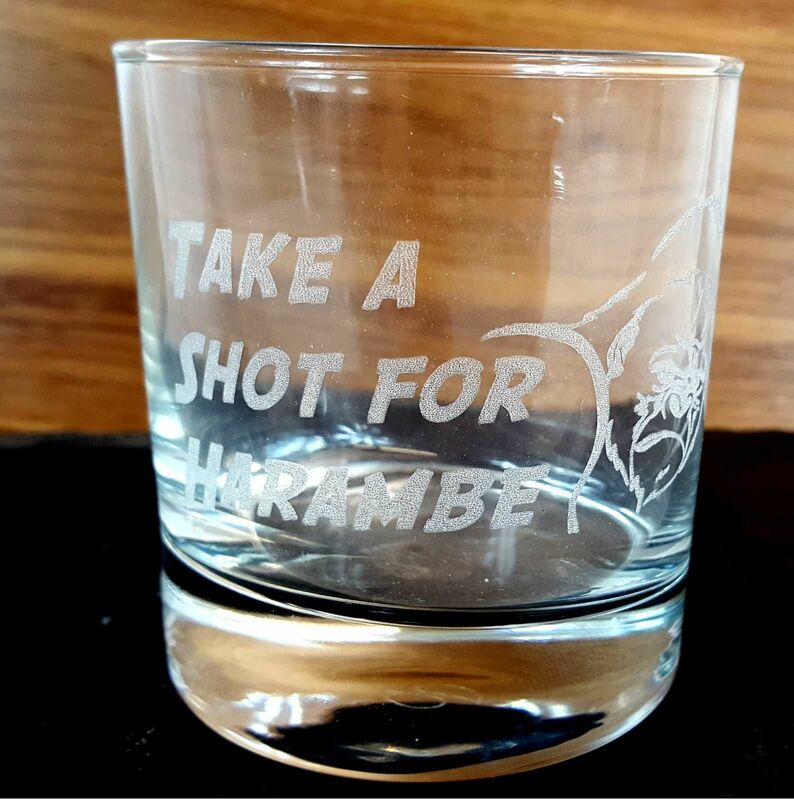 Engraved in the UK by Derwent Laser Crafts Ltd.